Global wealth and power are shifting eastwards. Three of the world’s four largest economies are in Asia, and the fourth, the United States, is a Pacific power. By 2025, two-thirds of the world’s population will live in Asia, compared with just over a tenth in the West. Asia’s economic transformation is reshaping the global distribution of power, changing the way the region — and indeed the world — work politically and strategically. Just as significantly, tensions between Asian powers will define war and peace in the 21st century. New tools are needed to track and understand the geopolitical changes at play. The Lowy Institute Asia Power Index is an analytical tool that aims to sharpen the debate on power dynamics in Asia. The Index measures power across 25 countries and territories in the Asia-Pacific region, reaching as far west as Pakistan, as far north as Russia, and as far into the Pacific as Australia, New Zealand and the United States. The Index breaks down power into eight distinct measures, over 114 indicators, allowing variations in power projection to be measured within and between countries. Annual editions of the Index will track how the distribution of power in Asia shifts over time. Join Hervé Lemahieu and Bonnie Bley, the principal researchers behind the project, for a discussion on the methodology and wide-ranging findings of the Index. A light lunch will be provided from 12pm. The seminar will begin at 12.30pm. 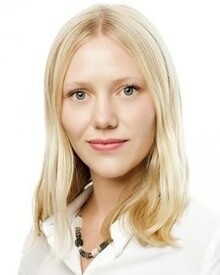 Bonnie Bley is a Research Fellow at the Lowy Institute, where she works on the Lowy Institute Asia Power Index project. Prior to joining the Lowy Institute, Bonnie worked at the International Institute for Strategic Studies (IISS) in London, where she was responsible for web content and social media strategies, notably at the 2016 IISS ShangriLa Dialogue in Singapore. She furthermore worked on a range of IISS products, including the Military Balance, Armed Conflict Database and Strategic Comments. Bonnie earned firstclass honours in European Social and Political Studies at University College London (UCL). She also studied at the University of Bologna. 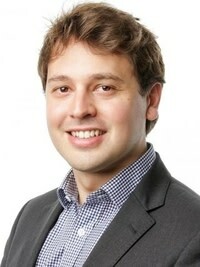 Hervé Lemahieu is a Research Fellow and Director of the Lowy Institute Asia Power Index project. Hervé also CoChairs the annual track 1.5 AustraliaFrance Strategic Dialogue. Prior to joining the Lowy Institute, he was Research Associate for Political Economy and Security at the Londonbased International Institute for Strategic Studies (IISS). He started his career at Oxford Analytica across the consultancy’s analysis and advisory practices. He was responsible for the firm’s analysis of the Mekong region. Hervé covers the militarycivil relations, political economy and foreign policy of Southeast Asia, with a focus on Myanmar. His analysis has featured or been quoted in the Financial Times, Bloomberg, Foreign Policy, El País, the Bangkok Post, Straits Times, South China Morning Post and Asian Nikkei Review. Hervé earned an MSc in Global Governance and Diplomacy from St Antony’s College, Oxford and an MA in International Relations and Modern History from the University of St Andrews. He has also studied at SciencesPo Paris.